A federal court judge today approved the $15 billion settlement between Volkswagen and consumers who owned or leased a Volkswagen or Audi 2.0-liter TDI "clean diesel" car. It's the largest consumer class action settlement in U.S. history. In most cases the owners of VW and Audi diesel cars fitted with illegal emissions defeat devices will receive between $12,500 and $44,000 each, depending on the model, year, mileage, and trim of the car, as well as where the owner lives. The Federal Trade Commission today issued a new consumer blog post, VW Buybacks and Lease Terminations to Begin, which provides background information on the settlement order, along with detailed instructions for affected owners regarding how and where to file a claim, and the claim-processing timetable. It also tells consumers how and where they can pick up their buyback check, specifying that the checks do not have to be used to buy a new Volkswagen. “The settlement in its current form is fair, adequate, and reasonable and is in the best interest of Class Members. Benefits under the Settlement shall immediately be made available to Class Members,” Judge Charles R. Breyer said. The settlement offers eligible VW owners and lessees the option of a buyback, to have their car fixed, or the option to wait and see what each owner believes is best for their situation. Starting today, Volkswagen will begin processing claims so that consumers can participate in the settlement program and receive compensation. The compensation is free of attorneys’ fees and taxes and also takes into account insurance paid for the affected vehicles. Buybacks and lease terminations should begin in November. It's not yet known when or if federal and state agencies will approve a modification that brings the cars into compliance with emission standards. The settlement provides that if a modification is not approved by the court and environmental agencies after 12 months, VW must buy back the vehicles. “This settlement is all about giving the consumer options while ensuring Volkswagen does its part to remedy its harm to the environment as well as fairly compensate those impacted,” said Joe Rice, a South Carolina attorney who was one of the lawyers negotiating the settlement. “Speed was critical in developing these options. ... The faster we are able to help consumers get the assistance they need, the better job we have done on their behalf." 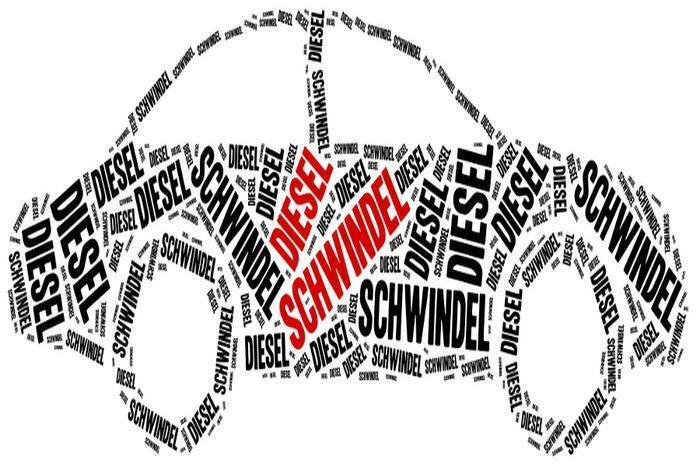 A resolution must still be reached for consumers who bought or leased a 3.0-liter diesel-powered VW, Audi, or Porsche. The total settlement is $14.7 billion dollars, with $10 billion allocated for consumers and $4.7 billion for environmental restitution. While applauding the settlement, some critics said more needs to be done. “It is great news that VW diesel owners can now be reimbursed, and that Volkswagen must begin to repair the environmental damage their emissions deception caused," said Center for Auto Safety staff attorney Michael Brooks but he said criminal charges are needed to get industry's attention. "Automakers will not change their illegal behavior unless the government pursues significant criminal penalties against executives who take or condone such actions. We look forward to news of federal criminal charges against the VW executives who participated in this fraud on the American public,” Brooks said. Safe Climate Campaign Director Dan Becker said the government "did a good job preventing further harm from VW’s diesel fraud." "Most heavily polluting diesels will be removed from the road and cannot be resold unless fixed. Other automakers must learn from this scandal that they dare not disable pollution controls, lie to the government or fleece consumers. Those lessons will be reinforced when the government brings criminal charges against VW officals who perpetrated this fraud,” Becker said.